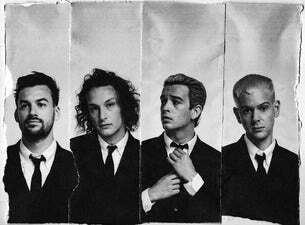 Known for their innovative synth-laden take on ’80s pop rock, The 1975 released their new album A Brief Inquiry Into Online Relationships last year and to celebrate, the Mancunian quartet are heading out on a UK tour. The band will be joined by rising stars Pale Waves and newcomer No Rome on all dates. A Brief Inquiry Into Online Relationships will be the band’s third album. They’ve already released the singles Give Yourself a Try, Love It If We Made It and TOOTIMETOOTIMETOOTIME.